On Windows I'm used to locking my screen via a Logitech Mouse Gesture. 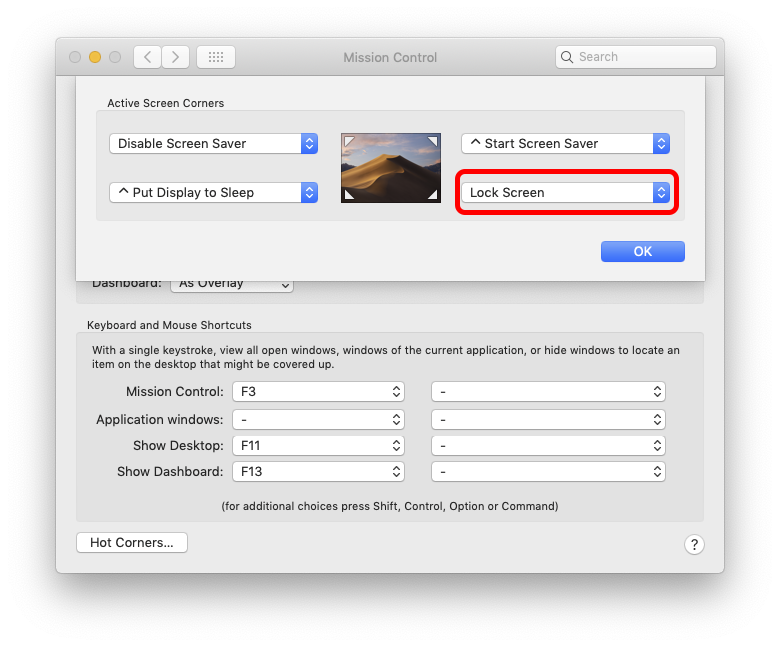 Unfortunately, I cannot select "Lock Screen" in the menu on MacOS. Is there still another way to lock the screen? Given that Logitech Options allows me to launch a specific app, is there an App that I can launch to lock the screen? 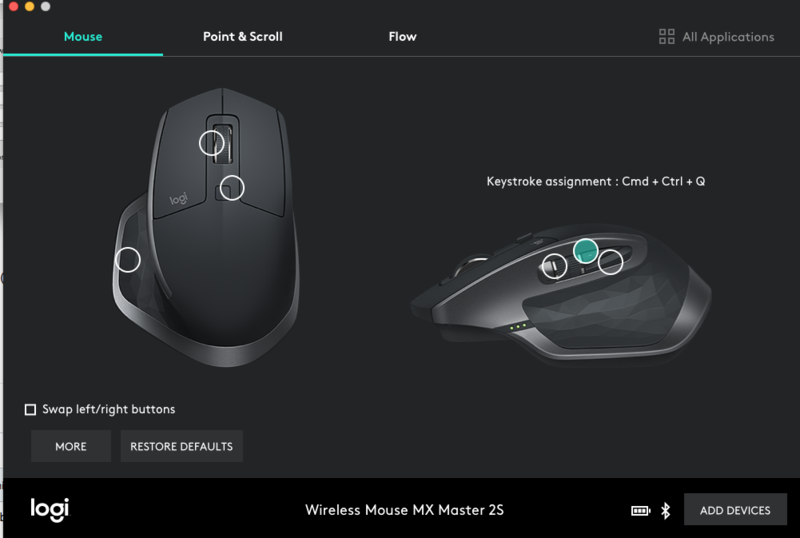 In Logitech Options, you can assign a keyboard sequence to a button. For this example, I assigned the top button on the side (the one highlighted in green) the shortcut to lock the screen CommandControlQ. Now, when I press the button, it's as if I've pressed the keyboard shortcut. You can do it natively, you don't need Logitech Options to do it for you. If you hold any Modifier[s] whilst selecting from the drop menu, it will apply it to the gesture. Not the answer you're looking for? Browse other questions tagged mouse screen-lock .